What Is an OASIS Assessment? 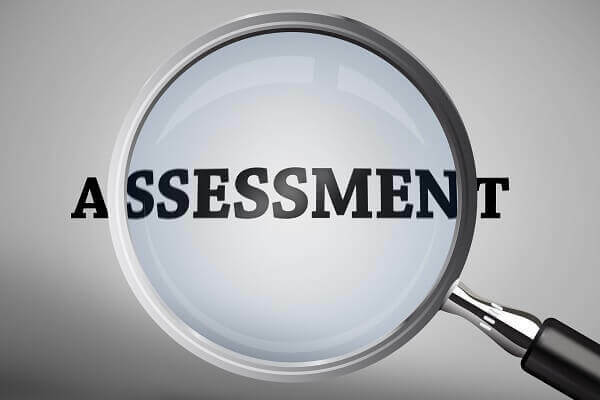 An Outcome and Assessment Information Set (OASIS) assessment is a periodic physical examination of a home health patient that is required for all Medicare and Medicaid beneficiaries. The OASIS assessment is conducted pursuant to standardized data set criteria developed by the Centers for Medicare and Medicaid Services (CMS). CMS updates its data set criteria every few years. The latest update to the OASIS data is effective as of January 1, 2017. OASIS assessments are administered by home health clinicians, such as nurses or therapists. The assessments often take place within the patient’s home as part of the patient’s home health care regimen. The home health clinician performing the assessment evaluates the patient based on direct observation of the patient and conversations with the patient about his/her health and capabilities. Typically, both the home health clinician and the patient will sign the OASIS form to certify that the information contained therein is accurate. The information collected as part of the OASIS assessment includes the patient’s demographics, the patient’s medical status, the patient’s functionality and self-sufficiency, and the patient’s medical and home service needs. The OASIS assessment is used to determine the patient’s Plan of Care (Form 485), set the home health agency’s reimbursement for services, and evaluate the quality of improvement to the patient’s health. OASIS assessments also perform an important data collecting function for both CMS and home health agencies, such as populating the information for Outcome-Based Quality Improvement (OBQI) reports. An OASIS assessment must be performed for a patient upon admission to a home health agency, discharge from a home health agency, transfer to another home health agency, and any substantive change in the patient’s condition. Additionally, an assessment must occur at least every 60 days during a patient’s home health care in order to re-certify the patient for the next episode of home health care. Federal investigators, such as the Health Care Fraud Prevention and Enforcement Team (HEAT), have been cracking down on home health care agencies in their efforts to combat Medicare and Medicaid fraud. Home health investigations and prosecutions are on the rise, especially in cities that house Medicare Fraud Strike Forces, like Dallas, Houston, Miami, Baton Rouge and Los Angeles. One area where federal investigators often focus their home health fraud investigations is the accuracy of OASIS assessments. For example, investigators may interview the patients of home health agencies to see if the information the patients provide matches up with the information the home health agency reported on their OASIS forms. As the OASIS assessment forms the basis of the home health agency’s level of reimbursement from CMS, the home health agency may have a motivation to exaggerate its patients’ medical conditions and required services. Although federal prosecutors generally view any inaccuracies in OASIS assessments with suspicion, they must prove – beyond a reasonable doubt – that a home health clinician intended to commit healthcare fraud in order to achieve a conviction. Sometimes nurses make inadvertent mistakes on OASIS forms or have miscommunications with their patients about their abilities; however, these inaccuracies do not amount to the intent necessary to commit healthcare fraud. At Oberheiden, P.C., we understand that inaccuracies on an OASIS assessment do not necessarily mean that a home health agency or home care provider has committed healthcare fraud. We use our extensive knowledge of healthcare laws and Medicare regulations to demonstrate to investigators that suspicious looking inconsistencies resulted from human error and not fraudulent intent. In this manner, we have successfully helped our clients avoid criminal charges as the result of a home health fraud investigation. If you are – or suspect you are – under investigation for home health fraud, you should contact an experienced healthcare defense attorney immediately. The sooner you retain counsel, the more likely you will be to avoid or defeat criminal charges stemming from the investigation. Increasingly, federal investigators are pursuing criminal charges against home health employees in addition to the agencies’ owners and executives. Nurses and therapists that falsify or make misrepresentations on OASIS assessments are at risk for criminal healthcare fraud investigation and prosecution. Nick Oberheiden has successfully represented healthcare executives, business owners, public officials, physicians, and lawyers in healthcare prosecutions across the United States. Dr. Oberheiden is the managing principal of Oberheiden, P.C. and he assists clients in Dallas, Garland, Mesquite, Richardson, McKinney and surrounding communities in federal healthcare investigations.